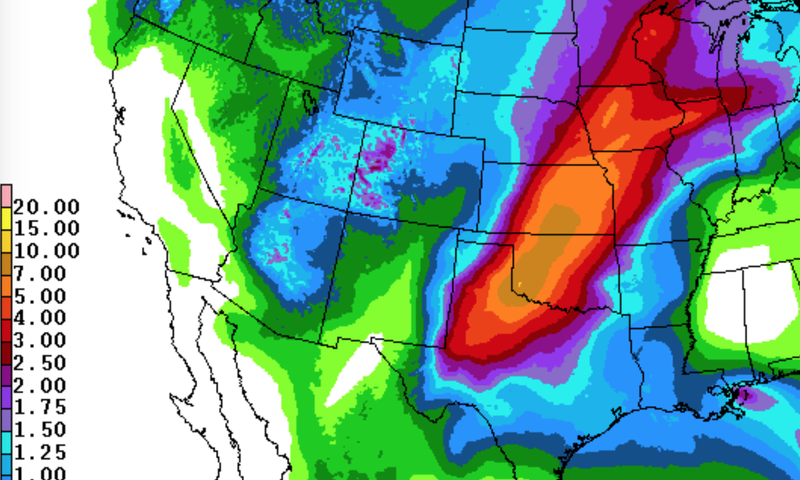 MSE Creative Consulting Blog: Here Comes the Rest of the Rain!! Here are the two-day rainfalls to noon Central time today. The rest of the rain we have been predicting begins tonight. Here is the five-day rainfall amount forecast. The golden area from south central Kansas to northwest Texas is expected to receive 7 to 10 inches of rain. 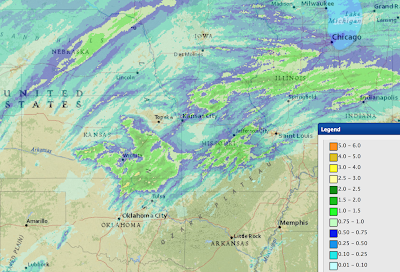 There is a small area of around 10 inches of rain forecast in southwest Oklahoma. Flooding is likely to develop next week as a result of these rains.